Diamonds are all graded on the relative quality in 4 categories, Clarity, Color, Cut and Carat weight. These 4Cs are used worldwide when appraising diamonds, and each is given a rating on a well-defined scale. 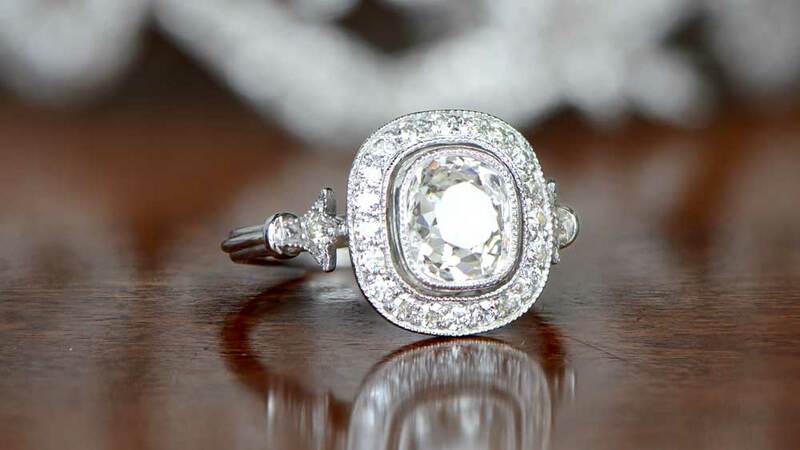 VVS represents a score of the clarity of a diamonds. Clarity is a measure of how clear or “clean” an individual diamond is. It is unaffected by the color of the stone, and simply measures the level of flaws and inclusions the diamond contains. Diamonds are natural things, produced over millions of years by a combination of extreme heat and pressure. It would, therefore, be naive to think that every rough diamond comes out of the earth in perfect condition. Even with the most skilled cutting technique, a polished stone is likely to include flaws which can be seen under 10x magnification. Some flaws can also be man-made. Cut or polish marks or, indeed, chip damage, however small is also classed as a flaw. Cutters will always try and end up with a polished diamond that has a few flaws as possible, in order to maximize its value. How many flaws exist in the finished diamond will determine the clarity rating it receives. The progression of Clarity: F – IF – VVS1 – VVS2 – VS1 – VS2 – SI1 – SI2 – I1 – I2 – I3. All gemstones, including diamonds covered and graded by the 4Cs principle, will have a clarity rating on a scale from F (Flawless) to I3 (Included Grade 3). A flawless diamond is just that and has no flaws which can be seen under magnification. This is the most desired, but also rarest and most expensive diamond clarity rating. At the other end, is Included Grade 3. These diamonds have flaws and inclusions which will usually be visible to the naked eye. As a result, many jewelers will not stock such stones. Instead, they will find their way into chain-store and other inexpensive jewelry outlets. As mentioned a flawless diamond is very expensive. Because of this, buyers will often look a step or two down the scale, as these stones will look identical to the untrained eye, but will be much less expensive. When diamonds are priced, there is no consistent price difference between each level on the scale. That is, there is no drop in price eg 10% or whatever, which can be applied between each step. The further you get towards the high end of the scale, the steeper the pricing curve becomes. This makes diamonds classed as Very Very Slightly Included (VVS1 and VVS2) much less expensive than a flawless diamond. Even so, without magnification, it is unlikely all but the expert eye would be able to tell the difference. Certainly, when set in a ring, it is unlikely any difference would be noticeable, even to a trained jeweler. Very very slightly included, means just that. A diamond can’t be classed as flawless or internally flawless if it has even a single flaw or blemish. These diamonds would then be classes as VVS. 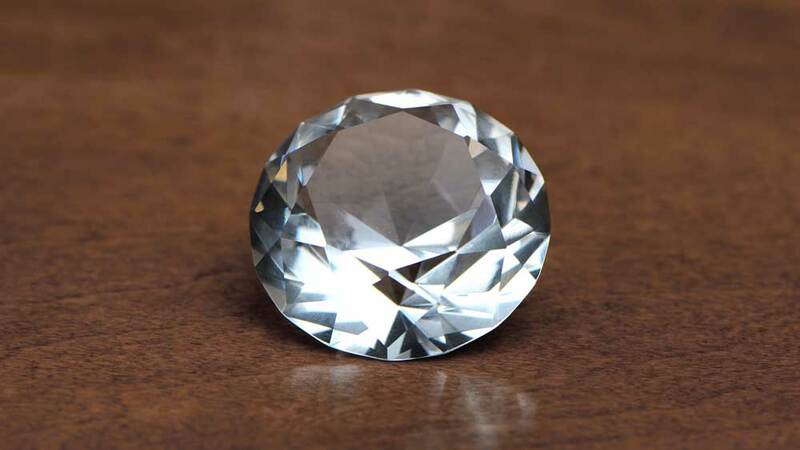 VVS1 is a diamond which has flaws that are visible from the pavilion (the bottom) and VVS2 stones have flaws visible from the crown (the top). As nobody will ever look at your diamond from the bottom once it is set, VVS1 is slightly more desirable than VVS2. A small price difference may occur in two otherwise comparable stones, but the difference is usually quite small. It should also be said again that these flaws are still only visible under 10x magnification by a trained jeweler. Whether VVS1 or VVS2, your diamond will look identical to the higher grades. This makes VVS grade diamonds extremely popular, as they offer outstanding value for money without any loss of visual attraction. Of course, there is more to a diamond that the clarity. Although a high grade in one of the 4Cs will often mean the others are also high grades, this isn’t always the case. A VVS1 diamond of color G (near colorless) will be around double the value of a VVS1 diamond of color K (slight color). When evaluating a diamond for its suitability, all 4 of the grading factors must be taken into account. The real key is that you should look for diamonds that are “eye clean”. That is one where any flaws are not visible to the naked eye. If you do that, then there is also some wiggle room on the color. Don’t dismiss G or even H color stones just because it seems to be a long way down from a colorless D grade. It might sound odd to be advised “don’t buy the best”, but it really isn’t. D color, Flawless diamonds are expensive, usually prohibitively so for most people. Diamonds are always graded under 10x magnification, and your eyes don’t come close to seeing that level of detail. If you can’t see the flaws that have been determined to be present, neither will anybody else. VVS grade diamonds are a great compromise of quality and value. The quality is excellent, and the price can be surprisingly pleasing.